Émile Henri Bernard, a Post-Impressionist painter and writer from France, remarkably developed close artistic friendships with several artists, including Eugène Boch, Paul Cézanne, Paul Gauguin and Vincent van Gogh. Bernard was born on April 28, 1868 in Lille, France. He produced most of his notable works when he was 18 until around age 29. He was closely associated with Synthetism and Cloisonnism, which he invented. He was also an accomplished writer, creating poetry and plays, and writing art criticism. Bernard wrote articles about art history, using first-hand information on the most important era of modern art to which he made significant contributions. 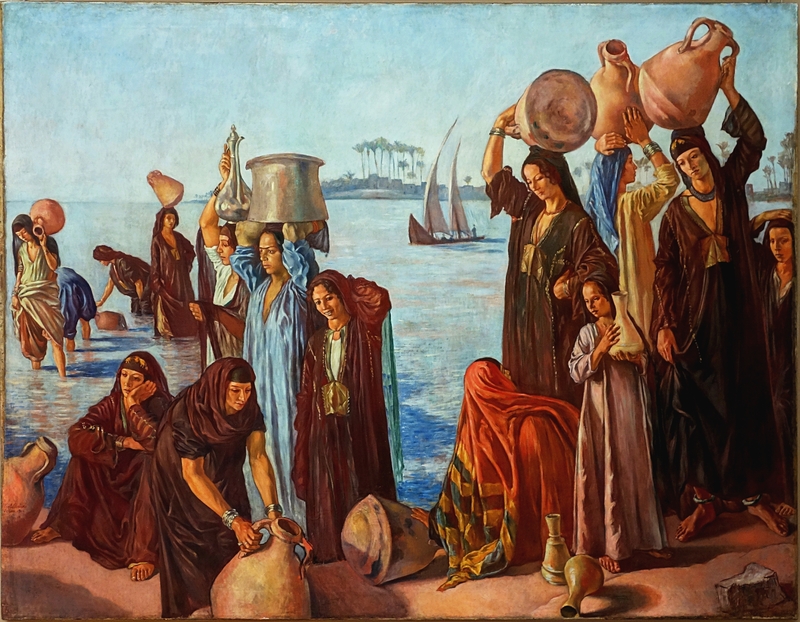 Among the modern artists, Bernard had the distinction of being the youngest and most innovative. He worked with Paul Gauguin when the latter was at Pont-Aven. Bernard, together with Louis Anquetin, another French painter who was a contemporary of Vincent van Gogh, developed Cloisonnism, a painting style that had flat areas of intense color bordered with thick outlines in black. Later, Bernard and Gauguin, and in part, Anquetin, worked closely together to formulate another painting style known as Synthetism. The style showed color schemes and forms that were synthetized. It meant that 2D flat patterns were emphasized, which was a way to break away with the Impressionist theory and style. There was also the artists’ conscious effort to rely more on memory than painting directly from nature. These two Post-Impressionist styles exerted a critical influence in pushing the idea that observation of what’s happening in the real world forms just a part of the entire creative process. 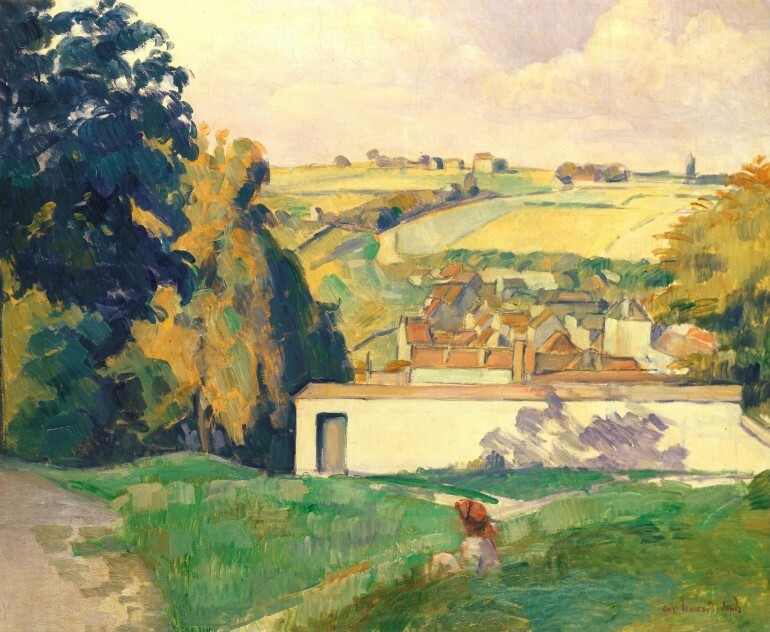 Many painters who were working at Pont-Aven in Brittany were associated with the two new painting styles. Included were Armand Seguin, Charles Filiger, Charles Laval and Jacob Meyer de Haan. Paul Serusier, who was also into Synthetism and Cloisonnism, later became the head of the Nabis movement. After Bernard finished his collaboration with Gauguin, he turned to literary rather than painterly art. He became active in literary activities in 1890, organizing the first retrospective for Vincent van Gogh, one of his close friends. He also wrote several articles pertaining to Paul Cezanne and Odilon Redon and other fellow artists. He published his correspondence with several Post-Impressionists and founded La Renovation Esthetique, an arts review publication. Bernard started art training when they moved to Paris, which was around 1878. He attended the Ecole des Arts Decoratifs and apprenticed at the Fernand Cormon’s studio. There, Bernard met fellow students Vincent van Gogh, Toulouse-Lautrec and Henri Matisse. This was where Bernard started exploring Pointillism and Impressionism. He also became a close friend of Louis Anquetin. He quit the school when it suspended him for ”errors in style.” He decided to destroy all the paintings he created during the period and went on tour of the Atlantic Coast, and was enchanted by the scenery and traditions of Brittany and later met Paul Gauguin. In 1887 and 1888, Bernard worked with Toulouse-Lautrec, Van Gogh and Anquetin, which led to the establishment of Cloisonnism. It was Bernard’s idea to develop a more simplified style of decorative art that is accessible to all artists. The main characteristics of the Cloisonnist painting style are its distorted forms and shadowless areas that may have unnatural colors. The areas and images were defined by heavy outlines, resembling stained glass from the medieval era, which were termed cloisonné enamels. Gauguin used the Cloisonnism style in one of his masterpieces, “The Vision after the Sermom: Jacob Wrestling with the Angel.” Bernard closely worked with Gauguin in 1888, helped by Bernard’s sister, Madeleine, to develop another style, later called Synthetism or Synthetic Symbolism. It was a combination of the decorative painting of Bernard with the mood, symbolism and vision of Gauguin. Another close friend, Van Gogh influenced and was also influenced by the work of these two talented artists. Around 1891, Bernard became associated with Symbolist painters, including Swiss painter, Ferdinand Hodler and French artist, Odilon Redon. He devoted much of his senior career to writing art history.